Hello! Hope you're all well, I have got a stinking cold... AGAIN! But snot issues aside, it's time for another installment of the Big Boot Challenge. If you're not familiar with this post. As a woman with a 19/20inch calf (to be precise, one is 19, one is 19 & 1/2, ha ha!) 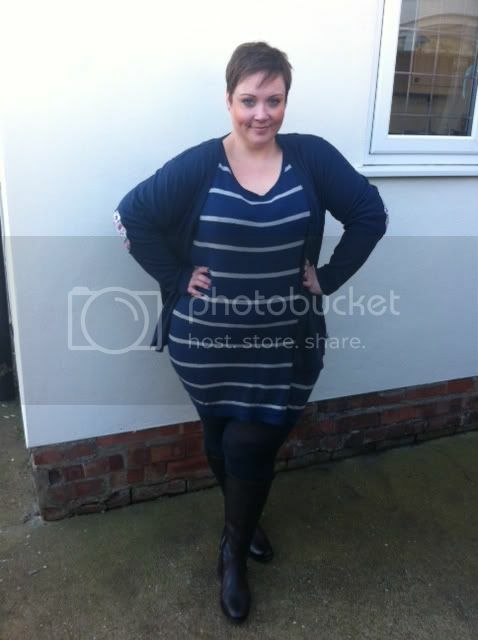 myself and Toni of "The Only Way is Toni" decided to issue a challenge to plus size retailers, for many years I'd found myself trying to find that illusive knee high boots, breaking down in tears (a tas melodramatic but true) in the middle of a certain plus size retailer when their supposed "wide calf" boots wouldn't fit. 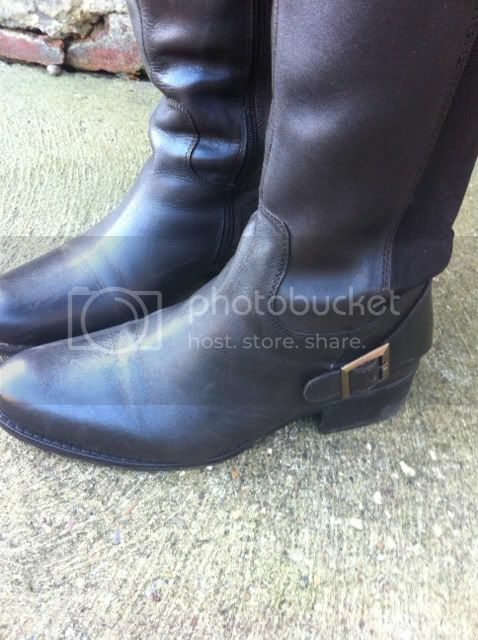 Desperately wanting to spend, sometimes large sums of money on the perfect boots on to find that yet again, they didn't zip up. So I guess we wanted to see if things had changed or improved, and I'm glad to say, so far, they have! Every single pair of boots we've been sent so far have fitted with no issues at all. Unfortunately on this occasion I know Toni has been disappointed and although her calves are only and inch or so bigger than mine, it shows how much of a difference it can make... So before I go on, I will say, if your calves are any bigger than about 19 inches, these boots will not be suitable. I was really pleased with these boots, they fitted well around the ankle and the elastic wasn't over stretched when I put them on. I love the brown and although it doesn't show up well in the pics, it's quite a rich brown. The leather is soft and supple, and the soles are chunky, but quite lightweight. 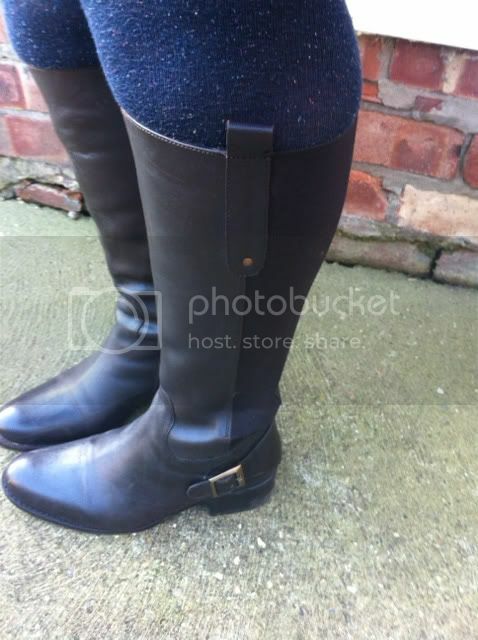 I like how they look on and think they look quite demure for a knee high boot, not as chunky as some others. 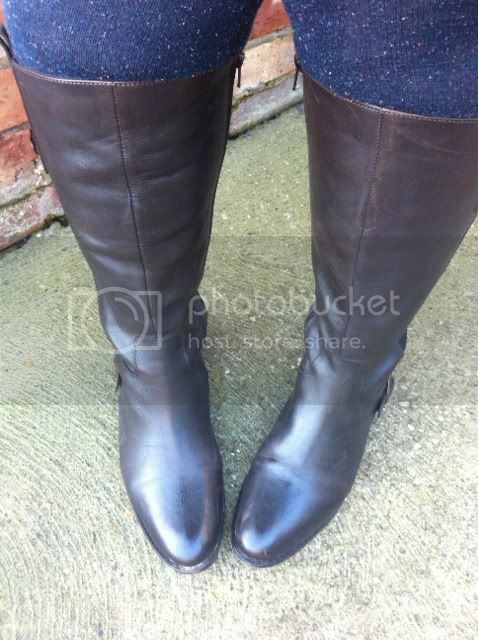 I managed to get a gorgeous pair of knee length boots from Very. I've had loads of trouble in the past finding a boot that a) fitted the calf and b) didn't cost the earth. I'd recommended the South collection for those needing some boots.